Sewage systems do not handle oil and grease well. Grease builds up in pipes, causing blockages, backups, and eventually sanitary sewer overflows. To avoid these expensive and potentially dangerous situations, a device called a grease trap is used to filter oil out from drains in places such as restaurants, kitchens, and food processing facilities. Because oil is less dense than water and will float on top, the grease trap can catch the oil and let water flow through. There are typically municipal ordinances which require installation of grease traps in particular establishments. 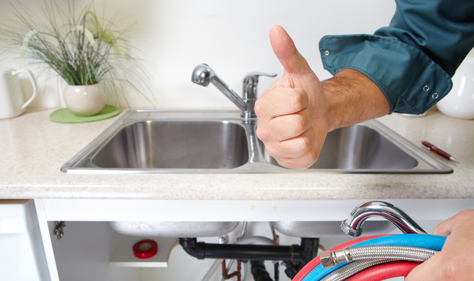 Colvenback Plumbing can help you choose and install the proper grease traps to meet your requirements and maintain your systems. Storm drains are special drainage systems which prevent flooding from excessive rainfall. Storm drain systems are required around surfaces where water cannot be absorbed, like streets, roofs, sidewalks, and parking lots. Local laws and ordinances usually require some type of storm draining system for new buildings and streets. An important aspect of storm drains is that in any system built after the 1930s, storm drain runoff leads to a separate system from the sanitary sewers. These systems have their own maintenance and repair requirements which differ from those of the sanitary sewers. Colvenback Plumbing can help with any problems relating to storm or sanitary sewers.